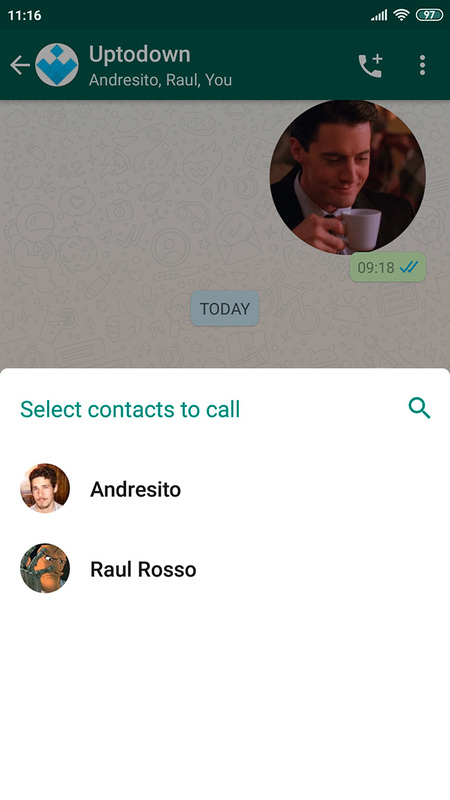 The new WhatsApp update has brought with it a pleasant surprise for those of us who use the app for video and voice calling: a new icon that makes it easy to make group calls. 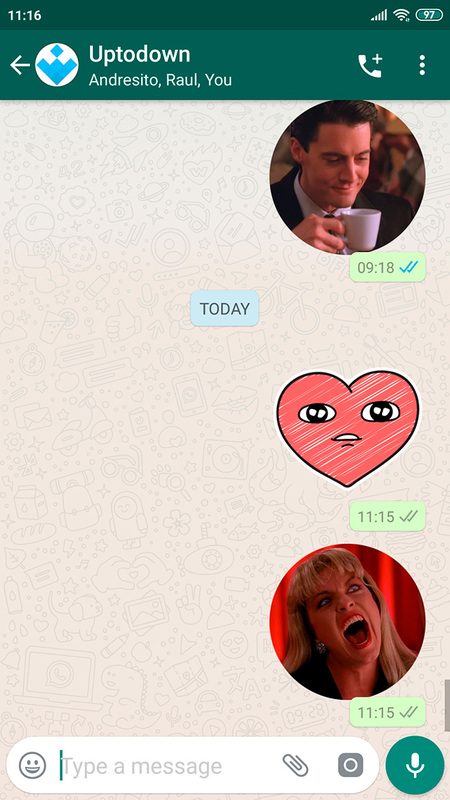 We’ve mentioned time and time again that the updates of the mega popular messaging app tend to entail small new features that improve the service. And we can say the exact same about this new feature thanks to this new shortcut that’s sure to become one of the most used buttons in the app. 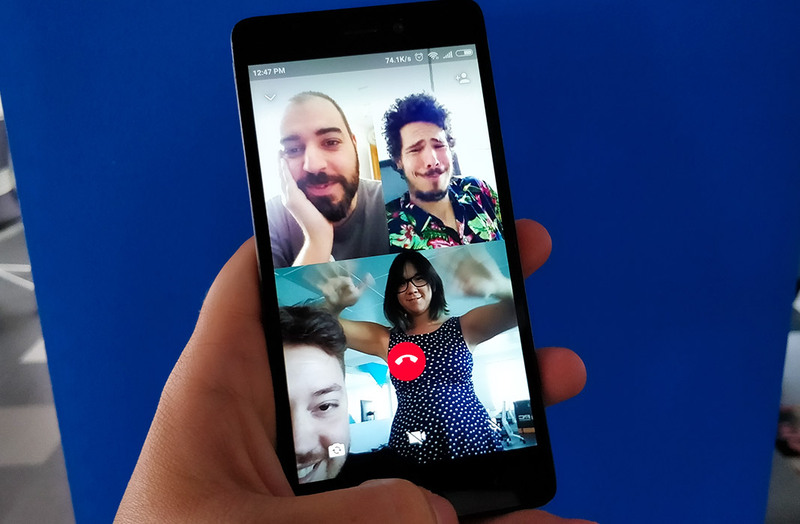 Making group voice or video calls (we’ll just call them all “calls” from now on) wasn’t too much of a hassle before the update. We already explained how it worked and the most important thing to remember was to start a call with one person before inviting others. Things have now changed thanks to the button mentioned above. You now have an icon found in the upper right corner of the screen, to the left of the classic three dots that open the menu. When you tap on the new call icon, you’ll see a new menu show up in the lower part of the screen. Here you’ll see all the members of the group you’re in and you just have to choose the people who you want to call by tapping on each contact. You’ll then see a new section in the window when you’ve selected at least one contact. 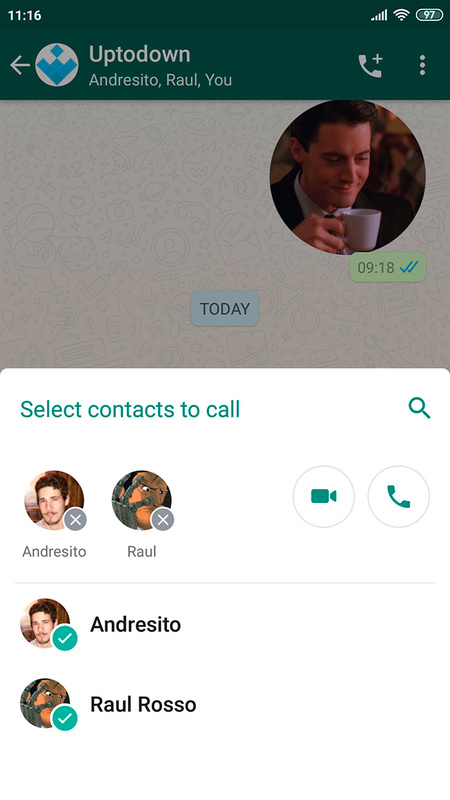 Two new icons will show up to the right: one for voice calls and another for video calls. You just have to select one of them to start the call. The great thing about this change isn’t simply how easy it makes things, but the fact that you don’t have to wait to connect with one person before you can start inviting other people. This new improvement is already available on our website, so all you have to do is download the latest version and you can start making super simple group calls. That said, there’s still a max. limit of up to 4 participants.